Browsing for homes is all fun and games until you run the risk of setting your heart on a home, only to have it broken. Before embarking on your home-buying journey, get pre-approved for a mortgage. We know waiting can be hard, especially with the convenience of the Internet and online home listing sites, like Trulia and Zillow – but, you may be thankful you did. You don't want to set a budget and fall in love with a home, only to realize you qualify for a smaller loan than you initially thought. FHA loans can get into a home for a down payment as low as 3.5 percent. VA loans can get into that same home for as little as 0 percent. Consult a mortgage lender about your options before automatically thinking you have to make a certain down payment. You never know, you could get a better deal! Saving enough for the down payment is a good start, but go beyond that number to ensure you can afford the additional expenses listed above. A 30-year fixed mortgage may be the best choice if you plan to keep the home that long…However, if you only intend to keep the home for five to seven years, there may be other options (like an adjustable rate mortgage (ARM)) that are more appropriate. Remember, the longer the fixed rate, the higher your interest rate – meaning, you could be paying a higher rate for nothing. Before choosing a mortgage plan, think about how long you plan on living in the home – and, always consult your REALTOR® and lender for advice. Not true…even in the slightest. While an excellent credit score – over 700 – may make it easier to get a mortgage with a lower interest rate, your credit score isn't the only consideration that goes into determining if you qualify for a loan. On top of your credit score, a lender will look at your credit history, savings, debt and more. Find out your credit score on FICO's loan savings calculator to see where you stand and how it will affect your loan interest rate. However, take the information found online at face value. To determine how you REALLY stand, contact a lender in your area. Much like buying a car, the offer you make on a home doesn’t have to be the full asking price. If you have good credit, pre-approval, and a down payment ready to go, sellers will likely negotiate with you rather than hold out for another buyer. Keep in mind, every market is different, as is every seller's approach to pricing his or her home. For example, some sellers will purposely price their property right at or just below market value to get multiple buyers interested. Consult your REALTOR® on what to offer and trust their recommendation – their expertise and knowledge of the market will ensure your offer is positioned to be accepted. The neighborhood you choose matters, both now and when you consider selling. Even if you don’t have children, good schools are a sign of a good community. 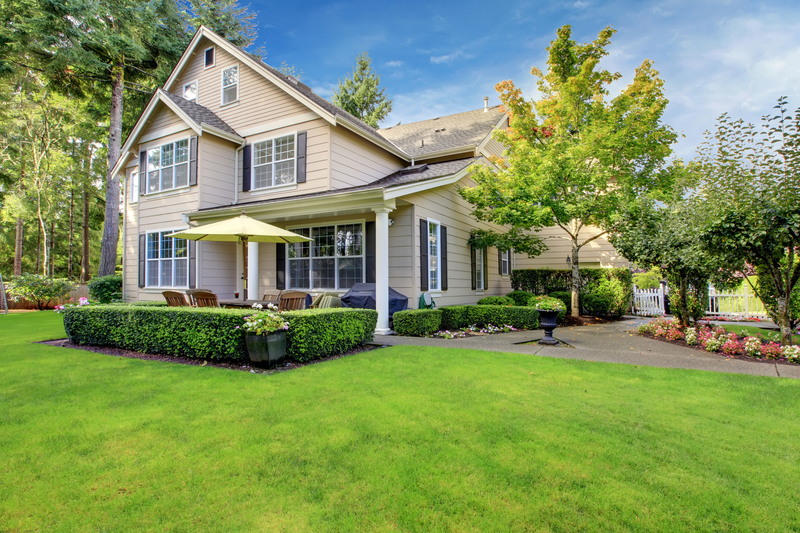 What does this mean for the resale value of your home? When the time comes to sell, your home will likely sell quicker and for more money than a comparable home in a rougher neighborhood. Location always matters - remember that when buying your first home. If you think you don’t need an agent because you have the Internet, think again! When you align yourself with a real estate agent, you get assistance during every step of the home-buying process: help finding homes, inside information on properties and neighborhoods, and a skilled negotiator on your side to help you navigate any bumps on the road to becoming a homeowner. Trust the professionals – they are there to guide you. Do you have any questions about buying a home? If so, give me a call anytime. I would be happy to provide guidance.